Our stroller crapped out on us at the mall earlier this week (Ughh! ), so we are currently on the hunt for a replacement. Because I see so many stroller everyday while doing research for this site, I am finding it hard to figure out which one I want. I have made a list of things I need my stroller to have and am currently plowing through manufacturers sites checking off which ones fit my criteria. 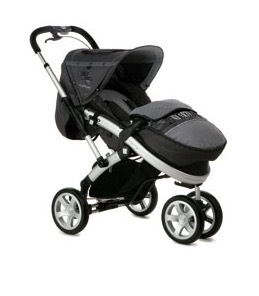 The Silver Cross S4 stroller is a cross between an all terrain jogging stroller and a chic high end pushchair. It is suitable for infants from birth to toddler, has large, puncture proof soft-ride tires and it folds neatly enough to fit into the trunk of most cars. The seat features a five point harness, head rest and material comfy enough to make any child happy. 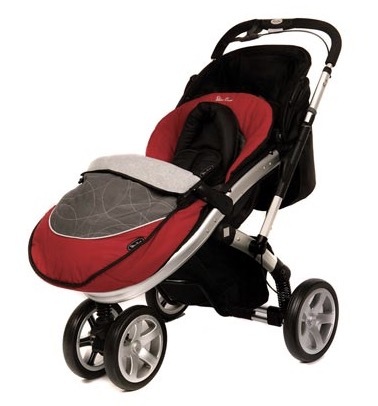 The large canopy with come in handy on stormy day, as will the deep-padded foot muff that comes standard with this stroller. 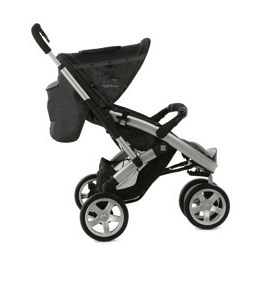 For moms who like to shop, the bottom of the chassis has a generous storage basket and a diaper bag with mat. Nothing is more FRUSTRATING that finding a product that is perfect and then realizing out that is not available in your country! !